We noticed that you loved our new version of two weeks ago so we started to build a new one for improving the game! -We fixed the bugs which some players had while they played some matches. -We set up some news plugins for improving the behaviour of the player and now the movements are softer! From the creator of Soccer Star: World Legend, here comes the ultimate soccer experience! Start small and become a real soccer idol! 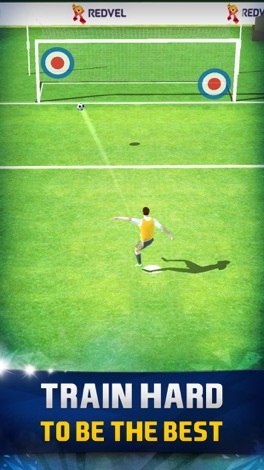 Free and easy to play soccer game: you just need one finger to experience the many different sides of football! 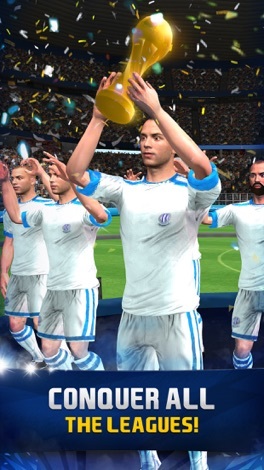 Play in leagues from every country, and lead your team to the top of worldwide football! Enjoy the most important soccer competitions of the globe. How many seasons will it take you to win your first league? Change your club as much as you want and feel the rush of a new league. Negotiate your contract to get the most out of your career! Enjoy the social life of a superstar and look after your relationship with your fans, your coach and more! Your soccer career has just begun, and your time has come. Become a Soccer Star! Welcome to the official Together for Israel app! Check out all kinds of interesting content and share it with friends via Facebook, Twitter, or email. For more information about TFI, please visit: http://www.togetherforisrael.org/ The Together for Israel App was created with the Subsplash App Platform. Mit dieser App sofort sehen, wenn ein Händler vor Ort neue Produkte oder andere Neuigkeiten hat. Werden Sie Teil der Gemeinschaft und teilen Sie anderen mit, wenn Sie tolle neue Produkte im Laden in Ihrer Region entdeckt haben. Download the Inside Elevation App to view schedules, have your questions answered and learn more about all that Inside Elevation has to offer. Welcome to the official Victory Family Church app! Check out all kinds of interesting content and share it with your friends, including live streamed experiences, upcoming events, recent sermon series and VFC Creative moments! You can submit prayer requests directly from the app.